This large peace pipe has a 2 point deer antler bowl and a 24" hardwood stem. 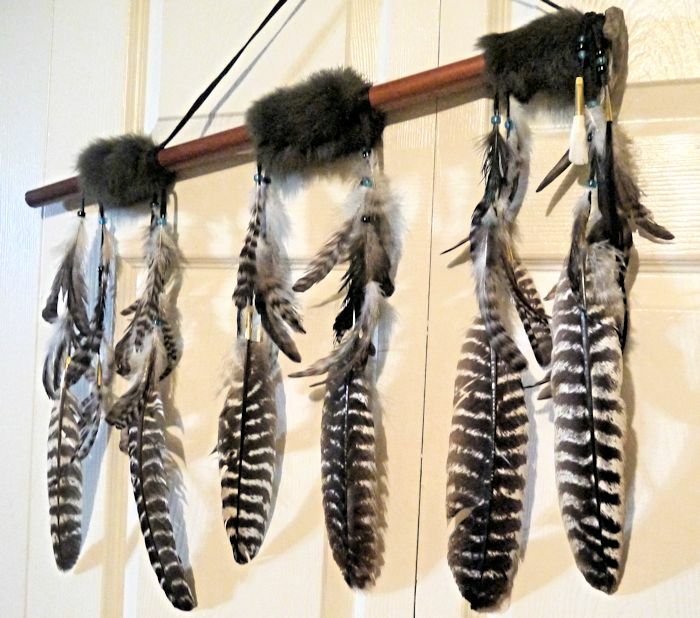 It is decorated with genuine buckskin leather, 6 barred turkey feathers (shown), dozens of smaller feathers, dark rabbit fur, a buffalo tooth, and horsehair. The feathers are held on with glass crow beads and brass cones.